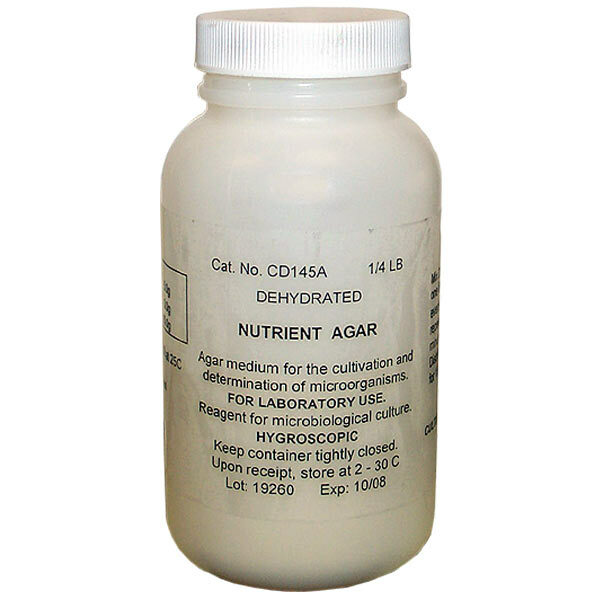 This dehydrated culture medium is used for the cultivation of a wide assortment of microorganisms as well as a base to which a variety of materials are added to create selective, differential, or enriched media for specific organisms. 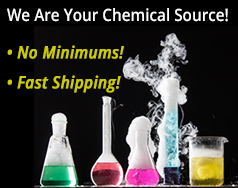 Product supplied with Lot Number, Expiration Date, and procedure on how to prepare the agar medium. Suspend 23 grams in a clean beaker with 1000ml of cold, distilled water. This will yield 50 plates (15 x 100mm). Use 11.5 grams in 500ml of water for a 25 plate yield. Heat to boiling to dissolve the agar completely. Stir with a flame-sterilized glass stir rod to help agar mix better. [Optional Step] Once mixed, transfer the suspension into a clean flask and sterilize in an autoclave for 15 minutes at 15 pounds pressure (121°C). (A pressure cooker can also be used). Remove from autoclave and let cool. Remove from heat. When agar has cooled to about 45°C (check temperature using a sterilized lab thermometer) it is ready to pour. Pour into sterile petri plates about 1/8”-1/4” deep and allow to set. Once the prepared plates have gelled, they can be used or refrigerated for future use. Store plates upside down with nutrient agar in upper half of plate. This will prevent condensation from dripping down and contaminating the agar growing surface.